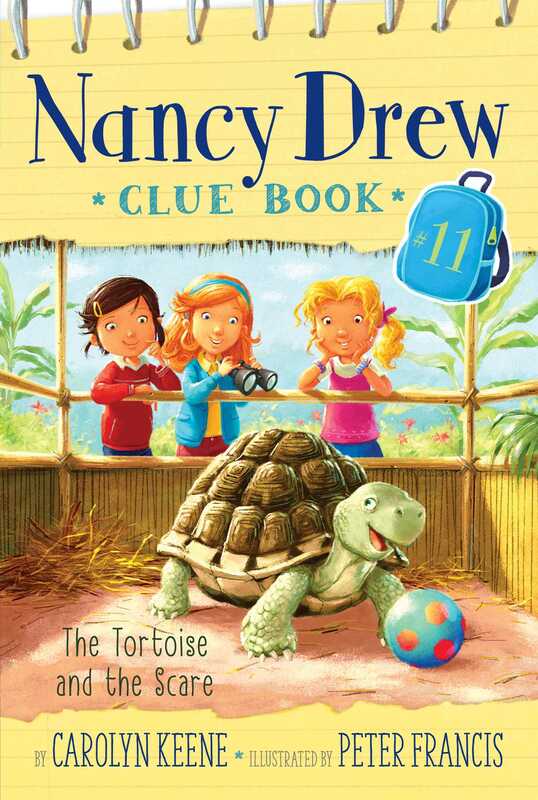 Help Nancy and her friends find a missing tortoise in the eleventh book in the interactive Nancy Drew Clue Book mystery series. Nancy, Bess, and George have been looking forward to their school trip to the Wildlife Refuge for weeks. They’ve been studying all the different animals they’ll see there—pygmy hedgehogs, scarlet macaws, and ball pythons. Nancy is most excited to see the sixty-year-old tortoise—that hard-shelled creature is older than her dad. But when her class reaches the enclosure they find out the tortoise is on the loose! Nancy and her friends are on the case. Can they save the day before the class trip is over? Or will this sneaky reptile outsmart them all?